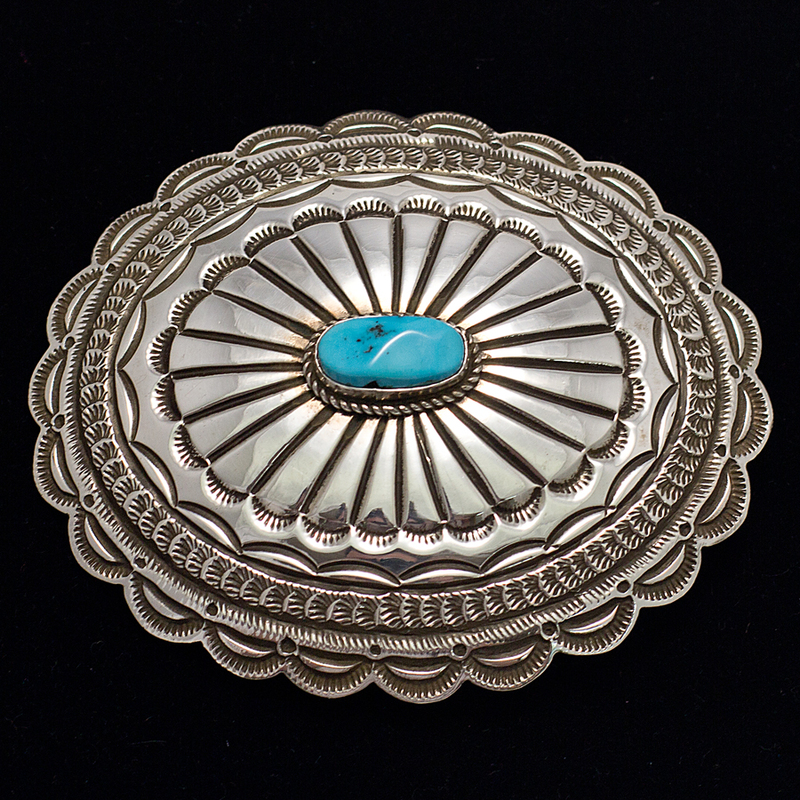 This classic concho style buckle is a great example of Navajo artist Leonard Maloney’s stamping skill. Substantial and well sized to wear every day with jeans, or as an upgrade buckle for a basic concho belt. This buckle would also look good as a bolo tie, if you like. Hallmarked “MALONEY” and Sterling. As shown will fit a 1 1/2″ belt. 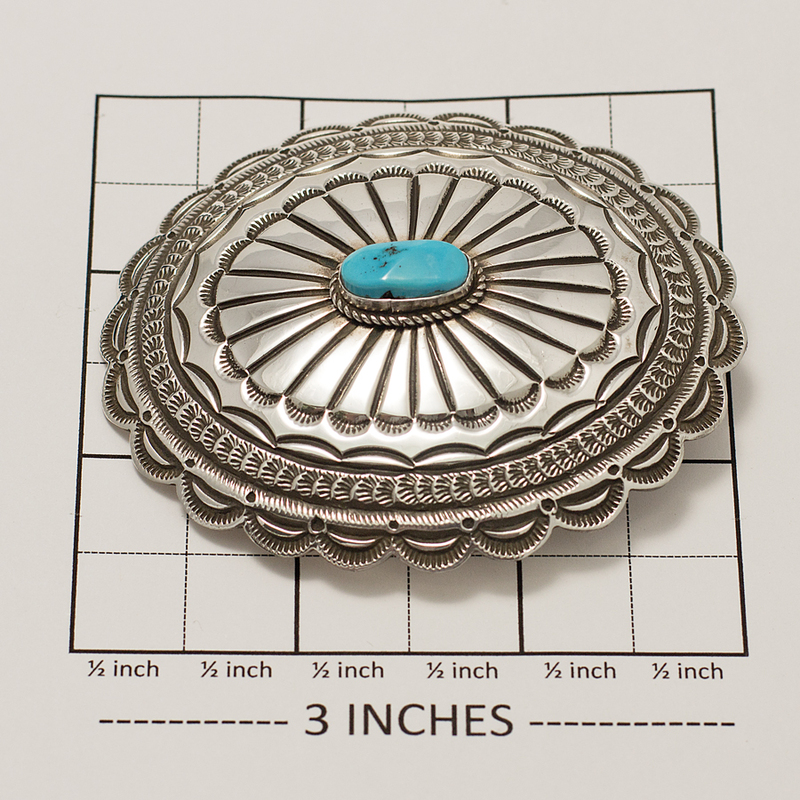 Leonard Maloney Concho Buckle made with stunning Sterling Silver and turquoise by this skilled Navajo artist. Goes well with any Western belt.